1-30MHz Upper frequency can be increased by changing the parameters C35, C36, C37, C38, C22, C21, C20, L1, L2. 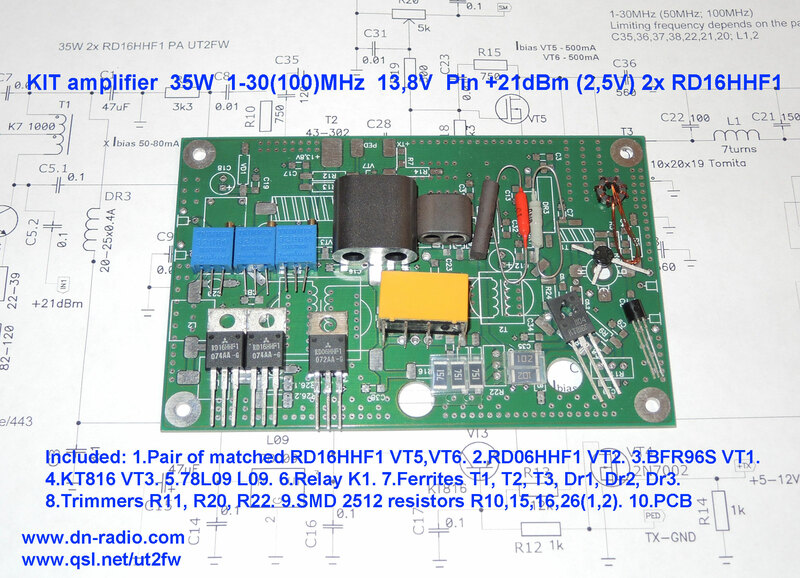 Among the photos you can see the amplifier option LPF for 50MHz BAND. For PA 100MHz elements C35,36,37,38,22,21,20 L1,2 are not used. If set then enough VT1 +1dBm (250mV) input power. KIT looks like the one in the first photo above. By KIT is attached CD-disk with detailed description.